Aquapackers floating backpackers is anchored in Anchorage Bay, in the middle of New Zealand's Abel Tasman National Park. 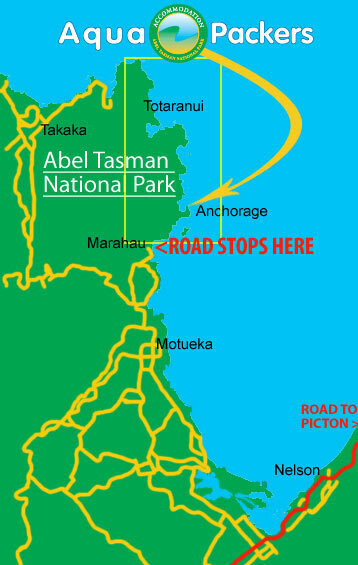 The road to the Abel Tasman ends in Marahau, which is approximately an hours scenic drive from Nelson Airport. From there you will make your own way to Anchorage Bay. There are many ways to reach Anchorage Bay - walk, kayak, sail or take a water taxi. Aquapackers is approximately a 3,5 hour walk from Marahau along one of New Zealand's Great Walks - the Abel Tasman Coastal Track. 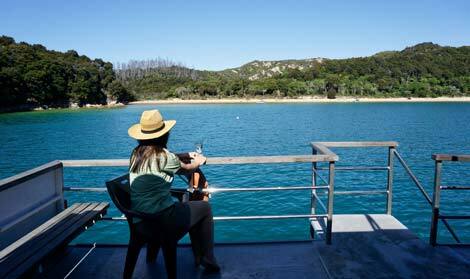 Aquapackers is a 20 minute water taxi ride from Kaiteriteri or Marahau. 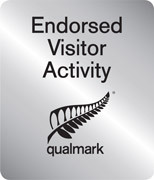 If you enjoy kayaking, Aquapackers is an easy days paddle from Marahau. There are half day kayak trips available too, why not get a package deal with one of the kayak companies? 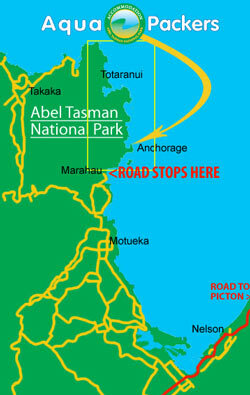 If coming from Awaroa, Aquapackers is approximately 6 hours walk or a 35 minutes water taxi ride. swim in its tantalising blue green waters. 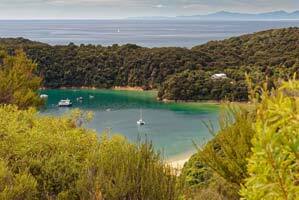 explore the expansive walking tracks - enjoy day trips or multi-day hikes. watch the New Zealand fur seals play. You can even just relax in the sun on one of the golden beaches. However you enjoy it, make Aquapackers your accommodation base and explore the north and south ends of the park to make the most of your stay. 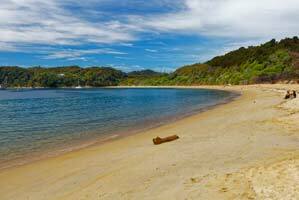 One thing's for sure, you'll wish you had longer to enjoy the magical environment New Zealand's Abel Tasman National Park has to offer.